was it possible to use the 3GB of RAM in the si1520? i didn't get it. i confirm that you can use 3gb on this notebook. Does your system recognize all the 4Gb, or just 3? Please can someone tell me where the second memory slot is on the si 1520. I'm running Windows 7 x64 with BIOS 1.10, but Windows claims that I've "Installed memory 4,00 GB (2,99 GB usable)". However, BIOS shows me correctly 2x 2048mb with dual channel. 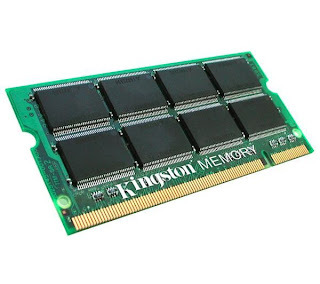 Oh, and I'm using Kingston KVR667D2S5K2/4gb (dual-kit). Any ideas where's the prob? Some guru mentioned somewhere that this chipset (i945) can anyway address only 3 GBs, even if full 4 GBs are installed. He mentioned some limitation of 32 bit addressing. Probably that's why the BIOS sees the full size, while the OS can utilize only 3 GBs. Yes, I've taked yesterday with Fujitsu support and they told the same:( I've installed W7 64 bit and 4 gb memory. It sees all 4 but use only 3 gb:( If anyone make it work, plese let us know how. Please!!! I need help. My Fujitsu Amilo Si 1520 don´t recognize 3GB. I have 2GB,when I Put 1GB, doesn´t work!!!! Sorry for my english. My name is Yunique and I am from South Africa. Although I am currently struggling to install Windows 7 (it used to work until my system did not work anymore) I got it right to install a 4 gig but it shows 3.98 gig. Just thought everyone would like to know. Thanks for the information. What version of the BIOS do you have installed on your SI1520, Yunique? Hi, Sciamano. I have to take a look and will reply here. I am currently at work. I know that I updated it to the latest version. I will let everyone know by tomorrow. Thanks, that would be useful because so far only BIOS v1.10 was able to recognize 4GB, although even 64-bit OSes would still use only 3 of them. Hi, all. Sorry for the late reply. I have been on the road. Yes, I have the 1.10 version BIOS as well. I finally got Windows 7 installed again. It is Ultimate. My hard drive that was there is dead so I replaced it. I installed the 64 bit since I am running this laptop in my home based recording studio and I need it for my plugins and DAW. I know I know it is old but so far it is doing a great job for what I have to do. Now that I have the 64 bit installed it only shows the 3 Gig, although I have 4 Gig RAM installed. Quite interesting since the boot screen shows 4 Gig. That is weird. Any suggestions? Oh and does anyone know where I can get graphics drivers for the laptop? Would be highly appreciated. Apparently one of my plugins says that I should update it. So far only one user has stated that his system could use all 4 GBs. I have never seen this with my own eyes, though and no one else ever confirmed. My opinion is that it is not possible to make the system use more than 3 Gigs, for some kind of hardware limitation. Regarding the graphic drivers, best place to check is Intel's website, since they manufactured the chipset. Hi Sciamano. Thank you for the heads up for the graphics driver. Let's hope we can solve this issue with the RAM but I also think then that you have to upgrade your hardware. Thank you Younique for sharing your experience. Damn. Ok. Thank you. Do you think it will be possible to upgrade the graphics card?